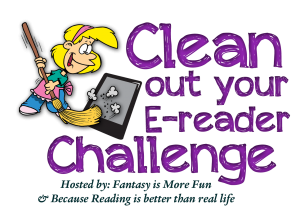 Now is the time with the Clean out your E-reader Challenge Join us March 1st 31th with the Clean out your E-reader Challenge hosted by Fantasy is More Fun & Because Reading is better than real life and start cleaning out your free or nearly free E-reads. I am going for "Deep Clean" and will be reading and reviewing the below 12 books from my TBR. Jenna Shaw ran away to escape her past. In fact, she jumped on a plane and flew to Portugal to try and forget it. However, it turns out leaving everything behind isn't as easy as it sounds. She thought she could move on and break free of her fears--that if she had some space the pain would stop. But as memories resurface due to an ill-timed joke, the past crashes into her present once more and she didn't see it coming. Jenna's plans for normality are derailed by the charismatic Ethan Brooks. She sees him as an annoyance; he sees her as a challenge. But as he tries every trick known to him to impress her, they only serve to push her further away. He's never faced this problem before and Ethan has to work harder than he ever has if he wants to win over and help his mysterious girl. She’d dreamt of him when she was a young girl, and hadn’t been able to get him out of her heart and mind since then, but it was impossible. He hardly knew she existed, other than as his younger sister’s friend. Until she returns home for Christmas, that is. Things are suddenly different between them. Jess Madigan has moved back to her parents' home, ashamed, alone, and in heaps of debt after abandoning medical school. Tormented by her own sense of failure, Jess is desperate to regain some form of inner spark. That's when she encounters an old flame, now a devastatingly handsome and internationally successful author and adventurer. Jake Lassiter is smoldering hot, impulsive, and fun in the deepest sense of the word. With him, girl-next-door Jess devours life, savors its fruits, and surrenders to a primal force infinitely more powerful than she. Yet, even as Jake lifts her to dizzying heights, Jess knows there's something he isn't telling her. And it is a secret powerful enough to entwine them forever - or to rip them irrevocably apart. This Christmas, a sick child will regain her health, a lonely man will be reunited with his true love, and a single mother will learn the power of forgiveness. She'd thought he was innocent, framed by another boy in town. Years passed before the truth was revealed, sending Meghan running again, this time with her daughter. They stayed away until Fiona's illness forced them back home to Largo just weeks before Christmas. Meghan never expected to find Liam living there, looking sexier than ever and mad as all hell. Seattle food critic Jaxie Hart is dumped by her quarterback boyfriend and, hoping to show him her adventurous side, she goes on the famous reality show The Husband Hunt. When she finds out that the Bachelor is someone forbidden, Jaxie must consider taking herself out of the competition even though for the first time in her life she's actually falling in love. But not with The Bachelor. 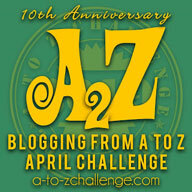 What is your COYER goal?